Helen L. Glass (nee DeCarlo), age 91, of Sheffield Township, passed away peacefully while a resident of the Main Street Care Center in Avon Lake on the evening of Monday January 21, 2019. 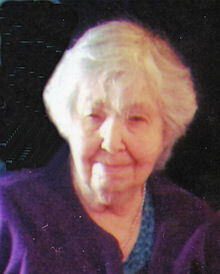 Helen was born in Lorain and had been a resident of Sheffield Township for the past sixty years. She was an avid traveler who had the opportunity to visit forty-six of our fifty states including Hawaii; she was also able to add Mexico to her list of travel destinations. In her free time she enjoyed socializing and having lunch with her circle of friends and also liked solving jigsaw and word search puzzles. In addition, she possessed a love for Lake Erie and the Lorain Lighthouse. Helen is survived by daughter Penny Lotko (Edward) of Sheffield Lake, and sons Dennis Findley (Judy) of Vermilion, Charles Glass (Linda) of Sheffield Township, and Richard Glass (Sharon) of Wimauma, Florida. In addition, she leaves twelve grandchildren, twenty-five great grandchildren and six great great grandchildren.